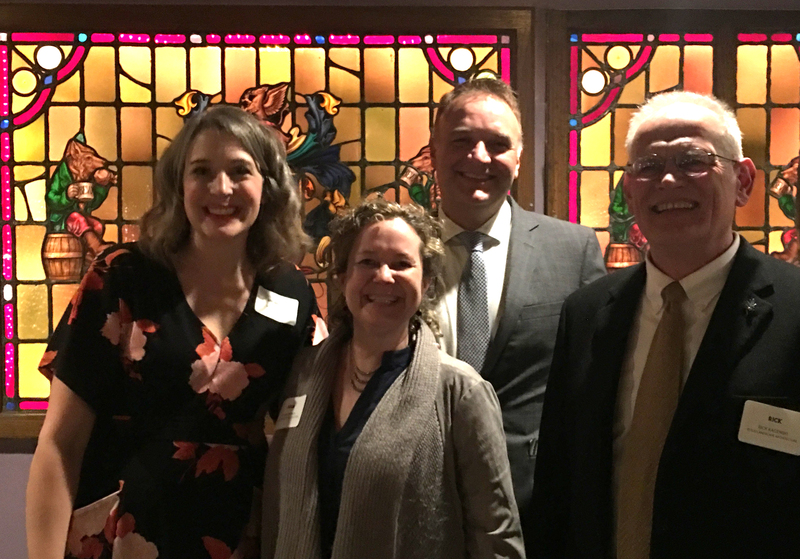 Last month, DTLS added to our growing list of award-winning work with a Merit Award from the St. Louis Chapter of the American Society of Landscape Architects. 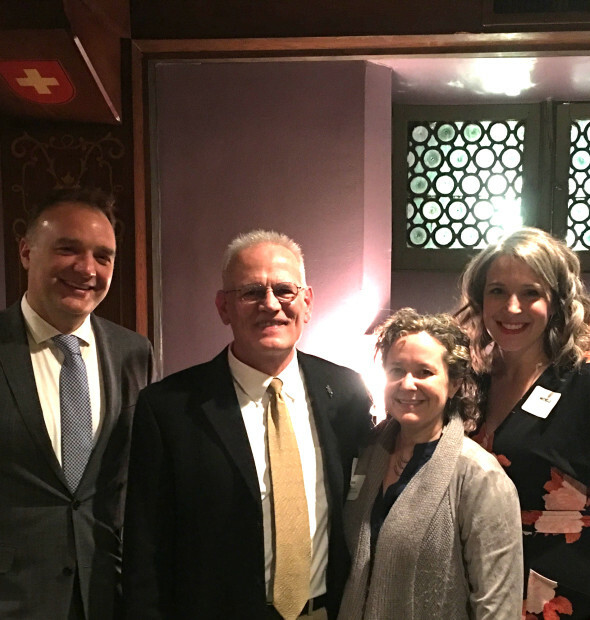 Recognizing Traditions Plaza at the University of Missouri – Columbia, the award was presented at the ASLA Annual Awards event. A fun night for all, and a delightful honor! 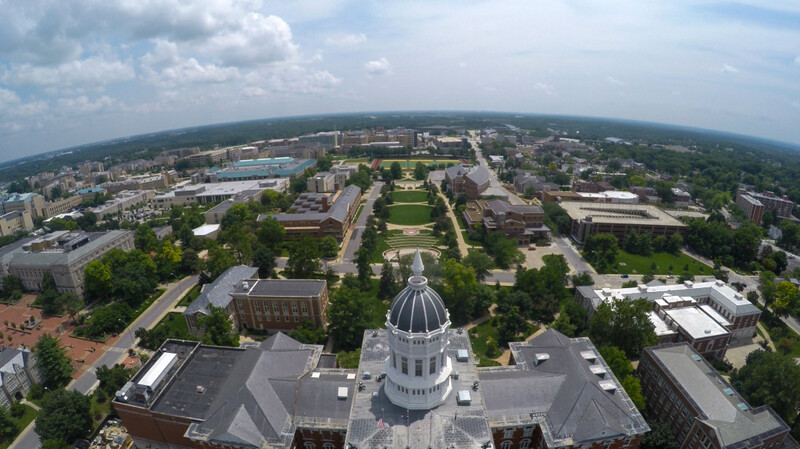 This aerial image exemplifies the harmony between the newly constructed plaza and the surrounding campus. An understanding of form and material is critical to a design which responds to its context. 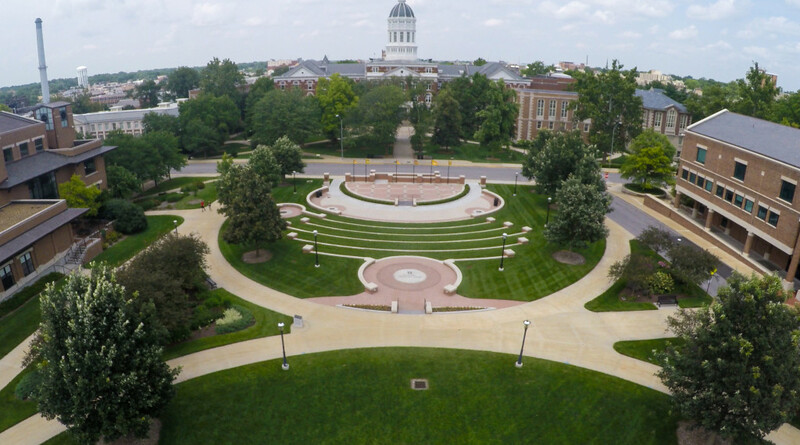 Situated at the north end of the Carnahan Quad and facing Jesse Hall, Traditions Plaza celebrates the history and values of the University of Missouri, Columbia. 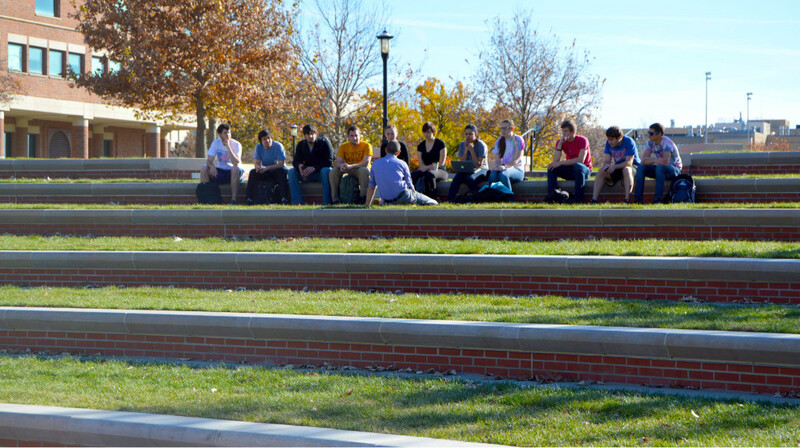 This new alumni plaza in the heart of the campus consists of a low-rise stage, memorial plazas and a terraced amphitheater integrated into the landscape. The Landscape Architect’s role was prime designer and coordinated with the Campus Landscape Architect and Facilities team. An upper and lower plaza address the elevated stage, while six levels of seat walls form an amphitheater. Accessibility and the preservation of existing memorial trees were primary concerns. With iconic Jesse Hall in the background, the plaza takes full advantage of its context – a great setting for big events or impromptu performances. Six arcing low brick walls with limestone pilasters define the amphitheater. Lawn panels stretch between each terrace providing informal seating for approximately 250 people, with additional lawn seating beyond for 750. The stage at the north end is a focal point for pep rallies and performances. The formal opening of the newly-constructed space was held on Homecoming Weekend, October 25th, 2014 – the 175th year anniversary of the University. The project was awarded in March of the same year. The complete design and documentation were successfully delivered on a tight 3-month time frame. The plaza is intended to welcome back alumni and teach incoming classes about the robust traditions of the University. The legacy of the university is handed down though the generations. 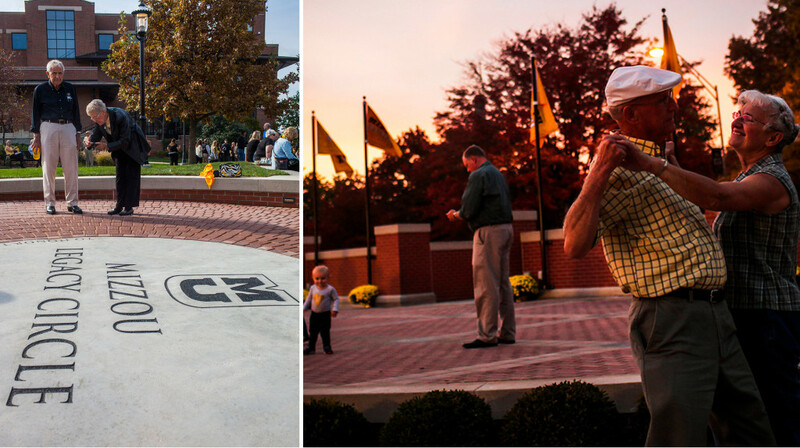 Over 4000 square feet of donor pavers commemorating alumni and UM traditions adorn the surface of the stage. 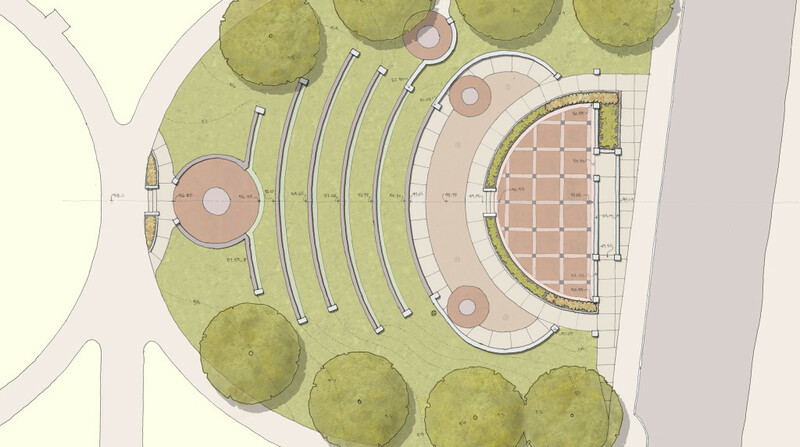 A permeable plaza, memorial walks and seating circles radiate outward from the stage to the terraces beyond. Delicate grading was required to preserve eight existing memorial trees along the perimeter while accomplishing the necessary site interventions. 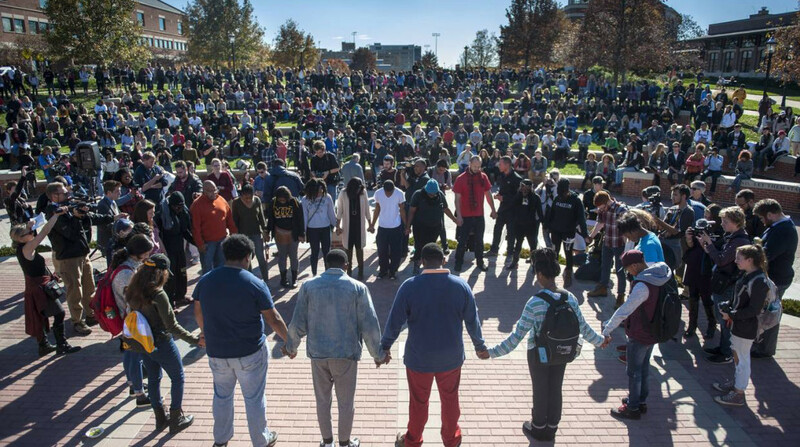 Traditions Plaza has quickly become an important gathering space for the campus, playing a central role in recent student protests. Civic spaces like this one continue the tradition of the town square, facilitating the free exchange of ideas. While the amphitheater is sized and equipped for large events, it is just as welcoming for casual use by smaller groups and classes. The project was awarded in March 2014 and Construction Documents were successfully delivered on a tight 3-month time frame. 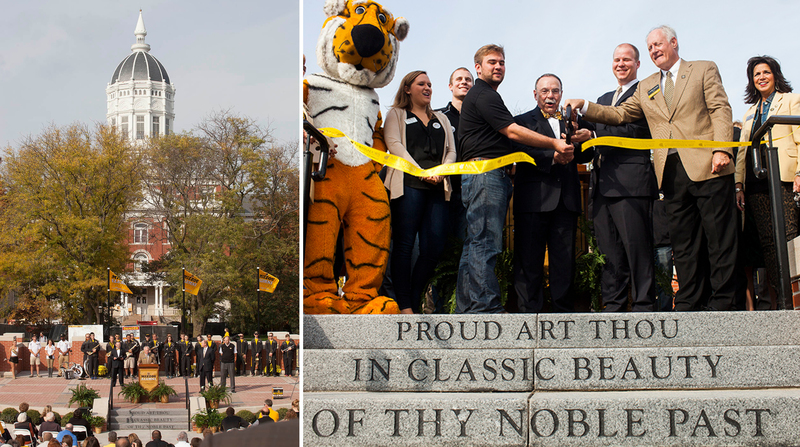 Traditions Plaza was opened on Homecoming weekend, October 25, that same year, the 175th anniversary of the University. The overarching design goal for Traditions Plaza was to meld into the formal quadrangle that anchors the layout of campus. Occupying this north end of the quad, Traditions Plaza fits into the adjacent landscape character seamlessly. Randy Burkett Lighting Design, Inc.